There’s nothing more heartbreaking than watching a child cry and being unable to console them. Their tear-filled, red faces will make anyone want to find a way to ease their suffering. When most kids think about a trip to the dentist, this is the kind of fear that sets in. The uncertainty about tools inside of their mouths leads to full-blown meltdowns in some cases. 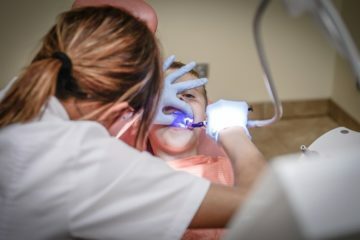 If you’re a parent dealing with a child who has no desire to sit in a dentist’s chair, there are things you can start doing right now to help ease their fears so they understand the importance of their relationship with the dentist for the rest of their lives. We cannot stress enough how important it is to focus on your child’s oral health from an early age. 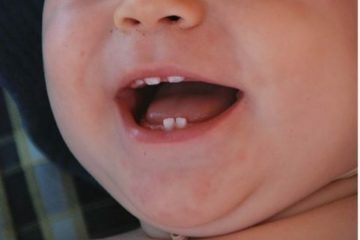 As soon as there is a tooth coming through their gums you should be setting up their first visit. 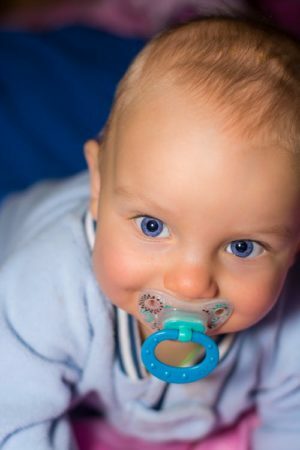 Even before then, we encourage parents to learn the things they can do – like wiping away leftover formula their gums after a bottle – to help keep their baby’s mouth healthy. Starting these tasks early will also make it easier to establish routines and lessen the chances of your child wondering why they are suddenly needing to see a new doctor. Instead, it will just be something they’ve done since as far back as they can remember. It makes sense that if you have a fear of the dentist you may pass that on to your child without realizing it. A lot of the negative talk you do out loud with them around will get picked up. Even if you’re having a conversation with another adult. If the details of a terrifying dental procedure or your fear for an upcoming visit is discussed, your child will start to fear them too. Also, if you want them to get into the habit of brushing before bed and as soon as they wake up again, you must do this too so they can mirror your behaviors. Finding a pediatric dentist that your child favors might take some time. There are some offices that have a kid-first approach and go the extra mile to make the environment as welcoming as possible or have dentists on staff trained to get down on a child’s level and relate to them in ways others may not. Here at CT Pediatric Dentistry, we focus on helping kids to get comfortable with the dentist at all ages. Our kid-friendly approach helps us to gain the trust of even the most apprehensive patient. We work with parents and start a course of education and treatment in the early years to establish a good rapport. Get in touch to schedule a visit today!